I need an attorney? How do I get a lawyer? What does the attorney say? Can a lawyer answer my question? 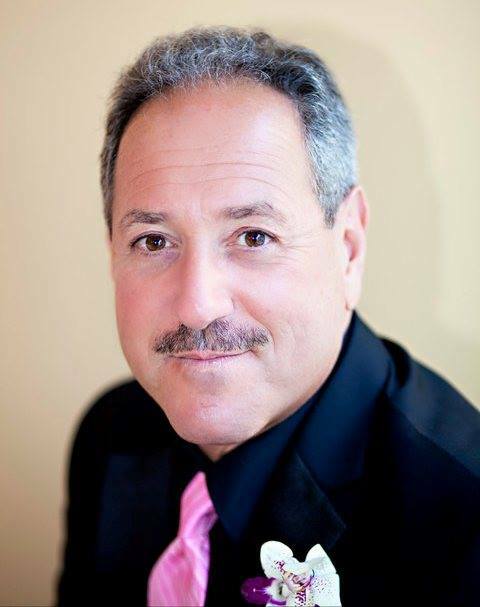 The following attorney blog contains insights by a Sacramento Attorney Edward Misleh. Some the areas discussed are complex and may be dependent factors affecting the particular legal matter. When in doubt, you should contact an attorney before taking any legal action. Family Law: California Estate Planning, California dissolution or divorce, Military divorce, California Guardianship, California restraining orders, Grandparent’s visitation. Divorce: Legal separation, annulment, child custody, child support, spousal support, marital assets, community property, separate property, retirement plans, pensions. Military Divorce: Veteran’s benefits, Thrift Savings Plans, retirements plans, and Tricare medical benefits. Child Custody: Sole custody, joint custody, physical custody, legal custody, and move-away orders. Guardianship: Grandparents, minor children, others, and estates. Child Support: Establish child support, modify child support, and terminate child support. Spousal Support: Alimony, establish spousal support, modify spousal support, terminate spousal support, temporary spousal support, and permanent spousal support. Community Property: Joint title, separate property, reimbursements, business assets, and marriage debts. Estate Planning: Probate, wills, trusts, intestacy actions. Domestic Violence: Domestic violence and civil harassment. Personal Injury: Auto accidents, vehicle mishaps, slip and fall, accidental injury, property owner negligence. Insurance claims and recovery of damages. In California, the family law courts will approve a schedule that the parents have been following for as long as it does not significantly affect the children. This is referred to as your parenting time or visitation. The State of California has enacted several laws which protect victims of Domestic Violence. If you are a victim of Domestic Violence or knows someone who has suffered from acts of Domestic Violence, you should contact our office to discuss possible remedies and steps to take to prevent further abuse. If you are currently being abused, you should call 9-1-1. In California, a person on probation can seek a court order to terminate or modify probation. To obtain early termination of probation, a petition that contains relevant information about the prior conviction will have to be drafted and submitted to the court. This petition will include information about the offense, your background, letters of recommendation, any proof of compliance with the terms of probation, and any other material that may be necessary for the court to make a decision. California child custody and visitation orders generally are modifiable until the child becomes an adult at the age of 18. A California court must find that the request to modify is “necessary or proper” and in the child’s best interests. California’s interest in the welfare of children prohibits parents from divesting a California court of jurisdiction to oversee modifying a child custody or visitation order. A person who is not a child’s parent can become the guardian of the child by utilizing either a California Family Law Court or a California Probate Law Court. Both Courts address guardianship proceeding to determine custody of a minor child. Additionally, a California Probate Court can be utilized by the petitioning party to attain a legal adoptive status of the minor child after a two-year guardianship has been in effect without the need to file a separate action for adoption. During a California divorce, one spouse may be entitled to be reimbursed when the other spouse has exclusive use of community property or when one spouse makes payments on a community debt. The Law Offices of Edward Misleh, APC is a Sacramento law firm located in Sacramento, California that represents clients in Sacramento, California and in Northern California with the services they need and deserve when addressing their legal matters. Our firm handles all aspects of California community property, to include: dividing marital assets, separate property, retirement plans, 401(k) and 403(b) plans, CalPERS, CalSTRS, pensions, veteran benefits, DFAS, Tricare. Call now our Lawyer Hotline. We offer a free consultation to all new clients. Call now 916-443-1267 for your free consultation. California Court of Appeals has ruled that renewal of a DVRO does not require a party to show new evidence of abuse or threatened abuse, or that any new abuse is physical in nature, and that evidence of abuse perpetrated on children is relevant to a renewal. Perez v Torres, 206 Cal.App.4th 418 (2012); 141 Cal. Rptr. 3d 758. Military families going through the California divorce process encounter unique issues that are not common to those divorcing who are not in the military. The Law Offices of Edward Misleh, APC is a Sacramento law firm located in Sacramento, California that represents veterans in Sacramento, California and in Northern California with the services they need and deserve when addressing their legal matters. Our firm handles all aspects of military divorce, child custody, guardianship, child support, spousal support, community property, veteran’s benefits, and domestic violence. Call now our Lawyer Hotline. We offer a free consultation to all new clients. Call now 916-443-1267 for your free consultation. Child custody and visitation orders generally are modifiable throughout the child’s minority whenever the court finds a modification is “necessary or proper” in the child’s best interests. Because of the State’s paramount interest in the welfare of minor children, parents cannot divest the court of jurisdiction to oversee child custody and visitation during the child’s minority. Any stipulation or agreement purporting to impede the court’s power to render or modify a custody/visitation order is void and unenforceable. In order to file a request for custody, you need to have “legal standing,” which refers to the ability to demonstrate a connection to or interest in a matter. For example, a long lost cousin who has no connection or involvement with a child probably doesn’t have standing to seek custody of the child. Alternatively, a family friend who has served as the child’s primary custodian for the last 7 years likely has sufficient legal ties to file for custody. Grandparents don’t usually have any custody rights over a grandchild if both parents are fit. One exception is in cases where a child has resided with the grandparent for an extended period of time at the parents’ request. In those cases, a grandparent has assumed the psychological role of a parent and may have a strong custody claim based on that role. Once the court orders you to pay spousal or partner support, you must make the monthly spousal or partner support payments starting on the date the judge orders. In every case ordering spousal or partner support, the court will order that a wage assignment (also called “wage garnishment”) be issued and served. The wage assignment tells your employer to take the support payments out of your wages. The Law Offices of Edward Misleh, APC is a Sacramento law firm located in Sacramento, California that represents clients in Sacramento, California and in Northern California with the services they need and deserve when addressing their legal matters. Our firm handles all aspects of California spousal support, to include: establishing spousal support, spousal support modification, and spousal support termination. Call now our Lawyer Hotline. We offer a free consultation to all new clients. Call now 916-443-1267 for your free consultation. The Differences between a California Legal Separation and a California Divorce is that a California Legal Separation does not end your marriage. You can live apart from one another and remain married, and you can enter into an agreement to address the same issues you may be facing in a divorce. The Law Offices of Edward Misleh, APC is a Sacramento law firm, located in Sacramento, California that practices California family law and California divorce law. We represent clients in Sacramento, California and in Northern California with services they need and deserve when addressing California divorce, California spousal support, California child support, and California community property. Call now our Lawyer Hotline. We offer a free consultation to all new clients. Call now 916-443-1267 for your free consultation. In California, you can often start your California divorce and conclude it without going to court. The following article are some of the more common questions that clients ask when contemplating a California divorce. Please remember, the California divorce process becomes more difficult when you are dealing with a stubborn or abusive spouse, or are trying to protect innocent chidren. California Guardianship is offered to a person who has received permission from the court to make certain decisions and take care of a minor child or an adult who cannot take care of themselves and/or their property. The California guardianship can be granted to a person who is related or unrelated, but most of the time, a person who is related has more eligibility. The Law Offices of Edward Misleh, APC is a Sacramento law firm, located in Sacramento, California that practices California family law and California guardianship. We represent clients in Sacramento, California and in Northern California with services they need and deserve when addressing guardianship of a minor child. Call now our Lawyer Hotline. We offer a free consultation to all new clients. Call now 916-443-1267 for your free consultation. The Law Offices of Edward Misleh, APC is a Sacramento law firm, located in Sacramento, California that practices California family law and California child custody and California guardianship. We represent clients in Sacramento, California and in Northern California with services they need and deserve when addressing California child custody, California guardianship of a minor child, and California move-away orders. Call now our Lawyer Hotline. We offer a free consultation to all new clients. Call now 916-443-1267 for your free consultation. A California court can establish child custody and parenting time on a schedule that the parents have been following for a significant period of time. A California court often will take this into consideration and approve the schedule currently being used as long there are no adverse effects on the children. If you are the custodial parent who is facing a request to modify child custody, consider whether the current practice has been working for both you and the non-custodial parent and the issues you want to address to continue the current practice. During a California divorce, a “Defined Contribution Plan” can be divided giving both spouses their interest in the retirement plan. A “Defined Benefits Plan” is not immediately divided and only give the spouses benefits when the employed spouse retires. The Law Offices of Edward Misleh, APC is a Sacramento law firm, located in Sacramento, California that practices California family law and California divorce law. We represent clients in Sacramento, California and in Northern California with services they need and deserve when addressing California divorce, California community property, and division of California retirement plans. Call now our Lawyer Hotline. We offer a free consultation to all new clients. Call now 916-443-1267 for your free consultation. What happens to child custody, in California, when a service member, is deployed? Joint legal custody means that both parents share the rights and responsibilities associated with making decisions relating to a child’s health, education, welfare, and well-being. Although the both parents will usually need to obtain the consent of the other parent, anytime one parent has actual physical custody of their child, they have the right to make routine decisions that may arise affecting a child’s daily or normal activities. Joint legal custody does not mean that one parent must obtain consent from the other parent on routine matters. Joint legal custody does not mean that consent is required for everything. Sharing joint legal custody does not mean that one parent must always obtain consent from the other. What are your chances of obtaining a court order in Californiato take your child to another state to live? Immediately start receiving your interest in your former spouse’s IRA, pension, or retirement plan. In California, Fathers have the same rights as mothers, during their California divorce. This overview is a brief outline of the California divorce process. Understand that there are many issues that are not covered in this overview. The Primary parent in California is the parent who has more time with the party’s children than does the other parent. However, there are some other effects that come into play when one parent has primary parent status. In California, the family law courts will approve a parenting schedule that the parents have been following as long as it does not significantly affect the children. The Law Offices of Edward Misleh, APC is a Sacramento law firm, located in Sacramento, California that practices California family law and California divorce law. We represent clients in Sacramento, California and in Northern California with services they need and deserve when addressing California divorce, California child custody, California spousal support, California child support, and California community property. Call now our Lawyer Hotline. We offer a free consultation to all new clients. Call now 916-443-1267 for your free consultation. Are You Paying Too Much in California child support or spousal support? To determine if you are paying or receiving the correct amount of child and spousal support you should look at your current California child support and/or California spousal support order to make sure the calculations are correct. You should also consider if any order reflects that current condition or circumstances that exist for you and the coparent. Divorced parents in California often debate and end-up in court to have the judge decide where their child will go to school; will it be a public school or private one or, will the child be homeschooled. In California, a business or professional practice owned by one or both spouses should be valued to determine the community property interest which is then divided between the spouses upon a divorce. Divorce in California does not happen overnight. Almost always, the marriage is destroyed little by little, over time. Often, when spouses encounter problems, they address the situation to avoid any serious damage. However, there are times when it may be difficult for spouses to resolve their problems. If your marriage is in serious trouble, any discussion, cooperation, or compromise may be impossible, and you may have no option but to consider a California divorce. What’s the difference between California temporary and California pernanent spousal support? Child Protective Services (CPS) is required to investigate reports of child abuse or neglect. This requirement can be found in California Welfare and Institution (W & I) Code § 328, § 16501(f), and § 16504. Start Receiving Your Interest In Your Spouse’s California Pension, California IRA, or California Retirement plan. If a California Family Law court finds that a marriage is void or voidable and that either party or both parties had a good faith belief that the marriage was valid, the court will declare either one or both parties to have the status of a putative spouse. Some of the rules that apply to a putative spouse also apply to Registered Domestic Partners. A California Family Law Court will take into consideration several factors to determine if a party should receive spousal support (alimony). In California, a marriage may be terminated only by a judgment of marriage dissolution, a judgment of nullity, or by the death of one spouse. When one spouse dies, their death dissolves their marriage as a matter of law. If one spouse dies after the filing of divorce but before there is an entry of judgment, the California Family court will lose jurisdiction to continue with the divorce or any other issues raised in the pleadings. This includes property rights, support, custody, attorney fees and costs. You may be paying too much in California for child support or for California spousal support if you did not get a seek-work order from the court. The following are some of the most often questions asked by clients about California spousal support. The need for parents to co-parent is not only important to a child’s well-being but can be grounds to challenge custody in California for a parent who refused to cooperate with the other parent in the raising of their child. The Law Offices of Edward Misleh, APC is a Sacramento law firm, located in Sacramento, California that practices family law and represents clients in Sacramento, California and clients in Northern California with services they need and deserve when addressing divorce, child custody and co-parenting. Call now our Lawyer Hotline. We offer a free consultation to all new clients. Call now 916-443-1267 for your free consultation. It’s not about you or any difficulties you may have had with the other parent. You need to remember that your children will also be going through a very difficult time. Temporary child custody orders, also known as “Pendente Lite Orders,” often have a significant impact on final or permanent custody orders. Should the parties not be able to reach an agreement for temporary custody, consider filing an “Order to Show Cause for Temporary Custody” and attend the mandatory court-ordered mediation. At mediation, you will be able to discuss the parenting schedule that you feel will be in the best interests of your child. The Law Offices of Edward Misleh, APC is a Sacramento law firm, located in Sacramento, California that practices family law and represents clients in Sacramento, California and clients in Northern California with services they need and deserve when filing for divorce. Call now our Lawyer Hotline. We offer a free consultation to all new clients. Call now 916-443-1267 for your free consultation. So, you want to get divorced in California. Make sure you want to take this step before you speak to an attorney. Once you have made your decision, read the following which will give you some insight to divorce process and issues you may face. California allows married couples, under certain conditions, to file for a Summary Dissolution of Marriage which is also referred to as a simplified or special dissolution of marriage or uncontested divorce. Remember, even a simple divorce can become complicated should there be an incident of domestic violence. In California, in the event that couples may reconcile, there is a six month waiting period for a divorce to be finalized. If on spouse passes away after you have filed for divorce, but before the final judgment is entered by the court, the case is dismissed. While one spouse becomes a decedent, the other spouse becomes a widow or widower. Put simply, you cannot obtain a divorce from someone who is deceased. In California, you will be considered legally married when the estate is distributed. Our office has the experience to handle both your divorce and probate matter. There are three ways that service members or their spouse can establish jurisdiction in the State of California to file for divorce. They can file in California if the service member’s legal residence is California; the service member’s spouse legal residence is California; or, if the service member is stationed in California. What happens if I’m in the Military, have children and am then deployed? How do I continue to have visitation with my children? How will this affect the other parent’s visitation rights or custody? Couples filing for divorce in California often forget some assets which may qualify for classification as community property. If so, both couples will have an interest in that property. In California, a person can file a petition for divorce if they have been a resident of the State of California for at least six months. Additionally, you must be a resident of the county in which you currently reside and intend to file your petition for at least three months. If a California Family Law court finds that a marriage is void or voidable and that either party or both parties had a good faith belief that the marriage was valid, the court will declare either one or both parties to have the status of a putative spouse. Some of the same rules that apply to a putative spouse apply to Registered Domestic Partners. The Law Offices of Edward Misleh, APC is a Sacramento law firm, located in Sacramento, California that practices family law and represents clients in Sacramento, California and clients in Northern California with services they need and deserve when addressing all aspects of divorce and support. Call now our Lawyer Hotline. We offer a free consultation to all new clients. Call now 916-443-1267 for your free consultation.